Have you ever worked on a project where you felt testing was thorough and complete—all of the features were covered and all of the tests passed—yet in the first week in production the software had serious issues and problems? 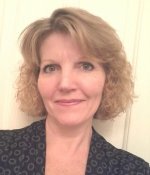 Join Dawn Haynes to learn how to inject robustness testing into your projects to uncover those issues before release. Robustness—an important and often overlooked area of testing—is the degree to which a system operates correctly in the presence of exceptional inputs or stressful environmental conditions.